Coming all the way from COSTA RICA! 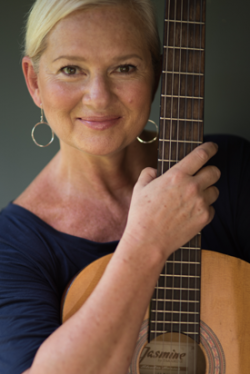 Join this soulful and energetic performer, Karina Zilberman, in a joyous intergenerational concert filled with Jewish melodies and music from around the world! People of all ages, but especially families with young children, are invited to open their hearts, sing along, dance, and jump. Connect with each other and your inner child. Let's unlock the wonder of our community together! Dora and Louis Fox Charitable Trust and Morgan Family Foundation.